LYMEPOLICYWONK: How many of those with Lyme disease have the rash? Estimates range from 27-80%. 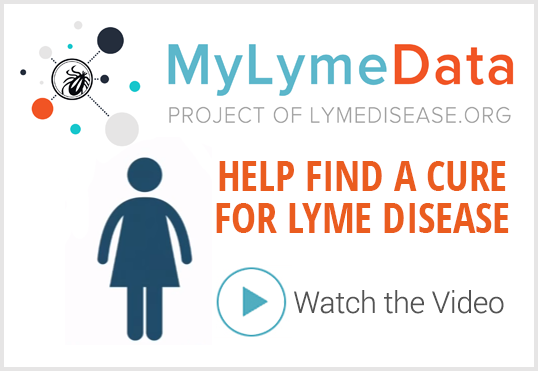 Have you ever wondered how many patients with Lyme disease have a rash? You would think the answer would be straight-forward. It’s not. Estimates range from 27-80%. For example, in our recently published study of over 3,000 Lyme patients approximately 40% of people with chronic Lyme recalled a rash. The CDC website reports that between 60-80% of those included in its surveillance system report a rash. Some estimates are as low as 27%. What’s the difference? There are a number of factors at play. A major factor is how the rate is reported. Surveillance definitions by their very nature increase the percentage of rash cases reported because one of the criteria for meeting the surveillance definition is a rash. The measuring stick is skewed towards rash reporting. This means surveillance cases may reflect a higher percentage of people with a rash than are present in the normal population of people with Lyme disease. Without a rash, their cases are less likely to be diagnosed by physicians or meet surveillance criteria. The result is the “rashless” cases of Lyme disease are undercounted. Even the CDC estimates vary widely depending on geography. Their estimates range from 51% to 87% depending on the state. Some states report even lower rates of rash. For example, Maine reports only 43% of its cases of Lyme have the Erythema Migrans rash. It is not known whether these variations reflect reporting anomalies or geographical strain diversity of B. burgdorferi. Given that a rash is part of the surveillance definition, it is not surprising that clinical estimates and population based estimates would be lower. For one thing, many studies about rashes do not look for the incidence of non-rash Lyme disease. Hence, although the Smith vaccine study of over 10,000 people describes the characteristics of those with rashes, it does not discuss the incidence of Lyme disease without a rash. (The study does, however, that only 9% of Lyme rashes are classic bulls-eye rash.) A study by Bingham set the rates at 27%, while one by Culp found 47%. The 40% rash rate in our survey of chronic Lyme falls within this range. The fact is that the true incidence of rash in human with Lyme disease is unknown. In rhesus monkeys, Dr. Monica Embers was able to determine that the true rate of rash was 1 in 10. However, monkey studies do not necessarily reflect human rash rates. To determine the true rash rate in humans, a researcher would need to infect humans with Lyme disease and wait to see who developed a rash–a study that would violate ethical principles. Another question to ask regarding human rash rates is whether we are talking about rash in early (acute) or late (chronic) Lyme? The CDC surveillance definition is geared toward acute disease, while our survey was of chronic disease. It is possible that those who develop the chronic form of the disease are more likely to be “rashless”. This in turn may lead to them having their diagnosis delayed—which would increase the odds of them developing chronic disease. For example, Aucott reports that 54% of Lyme disease patients who present without a rash are misdiagnosed. Our study found that those with a rash were more likely to be diagnosed within 6 months. Most respondents in our survey were not diagnosed until 2 years after they developed symptoms. These types of variations in rash rates also suggest that we don’t have the full picture yet. The 30,000 patients captured annually in the surveillance system are outnumbered ten-to-one by those who are not, and the difference between those counted as cases and the 270,000+ who are not is unknown. It is important to keep in mind the limits of our current knowledge. And remember, your mileage may vary. The largest survey of chronic Lyme disease patients was recently published in PeerJ. 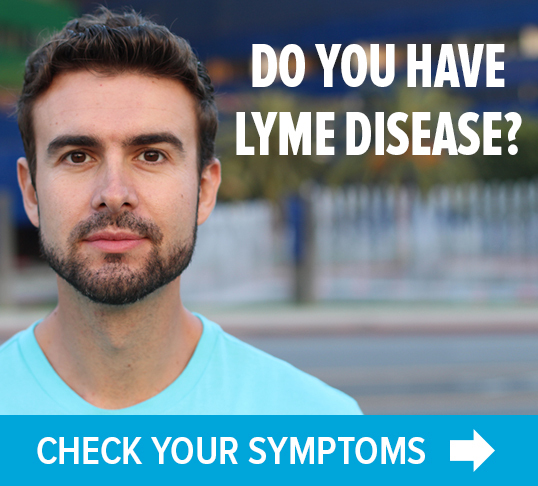 LymeDisease.org conducts these large-scale surveys to collect information directly from Lyme patients. The LDo study of health related quality of life was a joint effort of LymeDisease.Org and Prof. Jennifer Mankoff at Carnegie Mellon University. Johnson, L., Wilcox, S., Mankoff, J. and Stricker, RB (2014) Severity of Chronic Lyme Disease Compared to Other Chronic Conditions: A Quality of Life Survey. PeerJ, DOI 10.7717/peerj.322. Never had a rash, just a sore the size of a pencil eraser for weeks. If I had only known then what I know now. With late stage LYME, we only find out that we have LYME after not knowing what is happening in our lives for many years. Thinking back, when I was an early teenager I do remember a rash in my crouch, but that was in 1963, I wasn’t diagnosed with LYME till 2001. That rash memory is only something which I later remembered, thinking, could that have been from a tick? Oh, by the way, we continuously picked ticks off of us as children. I didn’t have a “typical” Lyme rash. About a month after the bites, I developed a red bump on my right arm that increasingly became redder over time. It was hot to the touch, yet not extensively sore. I eventually opened it up to drain nothing but blood. Epsom salt soaks healed it up. I guess that’s what I call a non-typical rash. I had a bullseye rash on my foot,I assume was from a tick .i didn’t see it was not on me very long. I have no symptom after a month. Should I get a test to see if I have Lyme disease ? Appearance of rash…..central clearing or not–does not describe all the variations that can occur. Size and shape also differ a lot. Don’t know what the full text of the Smith vaccine article says about this, but it should have been included. My rash was small, irregular in shape and only about an inch long, no central clearing. I saw another rash just like mine on the arm of a doctor who had removed a tick from it. I doubt very much that very many doctors would consider this a lyme rash. Too bad that bulls eye thing got started and has been perpetuated so long. It is very misleading. Yeah that rash stipulation is so misleading! Even after all I’ve read and studied about Lyme/Co-infections, I am still unclear how soon ‘the rash’ presents; I’ve read of people relapsing years later that develop a rash…Is the rash supposed to form where the tick attached? I had a festered sore on top of my head that took months to go away; I have very thick long hair, so no one would’ve found a tick of any size up there! Nor seen if a rash formed.